October was Breast Cancer Awareness Month. APR participated in various activates to help raise awareness about the cause. 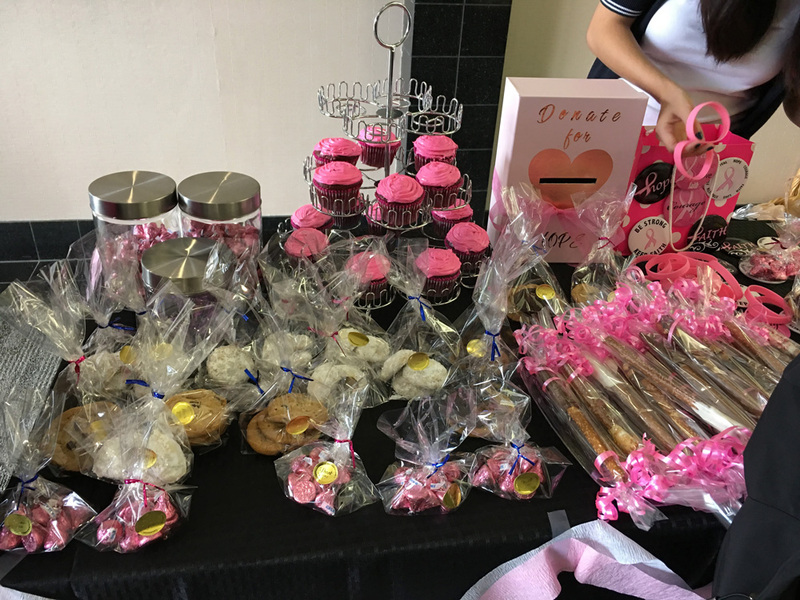 Our annual bake sale, Bake for Hope, was held on Monday, October 24, 2016. Our volunteer bakers, Rose, Connie, Jennifer, Anni, John, and Jacqueline, donated a variety of beautifully made, delicious treats for our event. We packaged and sold chocolate cupcakes, red velvet cupcakes, Russian tea cakes, chocolate covered pretzels, chocolate chip cookies, sugar cookies, and pink Hershey’s kisses. We talked with people and collected donations in the main lobby from 1:00pm – 3:00pm. Everyone who came out was excited to participate. Many people were even brave enough to tell us about friends and family who survived a battle with breast cancer. We were touched by the outpouring of support we received. When the event concluded, we had raised $261.00 in donations. It was an amazing day and we are beyond grateful to everyone who contributed to make this event a success. Every Friday, employees were encouraged to wear pink. For every employee that did, APR would donate $5. 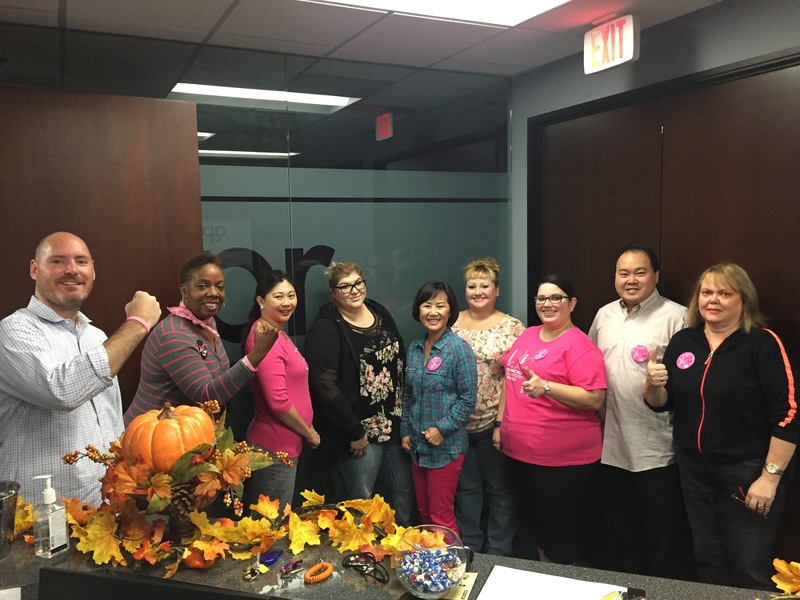 Employees raised $360 for just wearing pink. Linda Stone, APR’s CEO, graciously offered to match employee donations, which was $210. Our grand total was: $1,862! 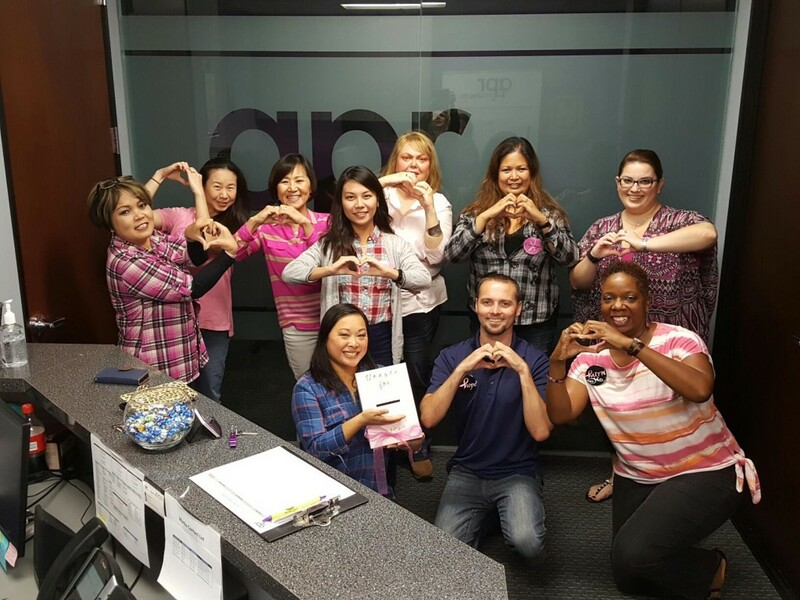 This entry was posted in APR News, Company Culture and tagged APR, APR News, Breast Cancer Awareness, Company Culture. Bookmark the permalink.